Discussion in 'Legal Issues and Dispute' started by Prashant Sharan, Apr 15, 2019. The Korean registrant of the domain Guzzini.com sought to get $100,000 dollars from the Italian trademark holder. Instead, they got hit with a UDRP once negotiations failed. Enrico Guzzini formed the company in 1912, and the brand is famous in Italy, and internationally for its tableware and houseware products. 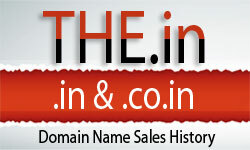 The Korean registrant secured the domain in 2001, and claimed that they had a project in mind. For 18 years, the web site displayed an “under construction” page. When the Complainant offered 1,500 euro, the Respondent countered with $100k, but accepted $7,000 when all negotiations broke, allegedly due to disagreements on the payment method. Maybe they should have used Escrow.com as a secure, globally established method of exchanging domain names for money?